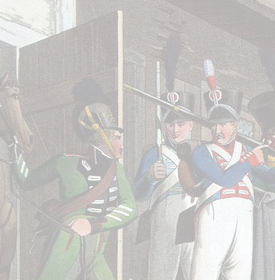 “I have personally spoken to the Emperor and informed him of my complete satisfaction with the Hessian Garde-Chevauxlegers.” General of Brigade Jacob François Marulaz, 1809 I hadn’t forgotten my Essling Grand Plan (see Post 145) but after the break in hostilities (see Post 154) I had, as I mentioned in the last post, virtually leapt on the first Napoleonic figures that presented themselves. 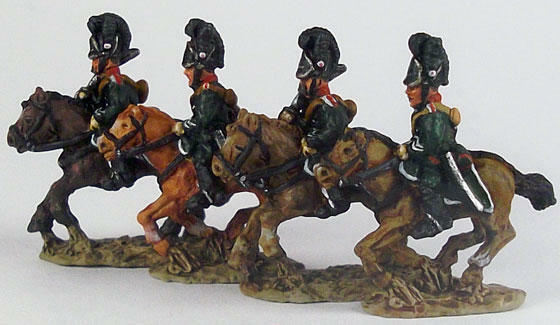 Inspired by the pleasure of painting the Badeners I couldn’t stop myself wanting to paint some more of Napoleon’s German allies. 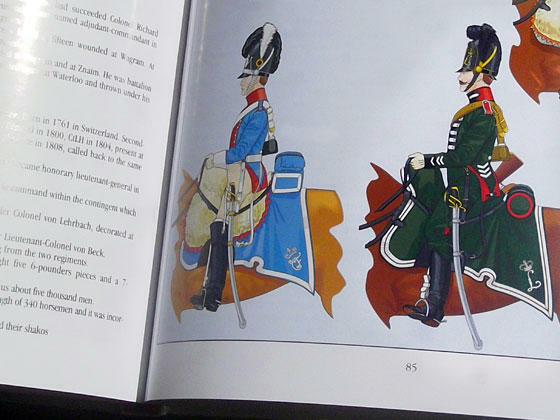 Bavarian Light Dragoon and Hessian Garde- Chevauxleger from André Jouineau’s Histoire et Collections. 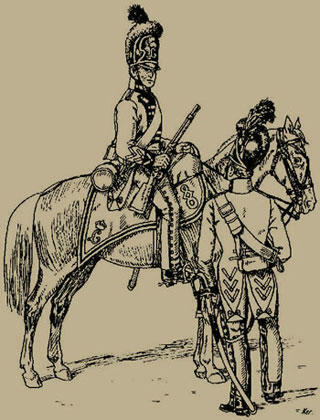 RIGHT Bryan Fosten’s superb illustration of a later Hessian Garde- Chevauleger from Otto von Pivka’s Osprey Napoleon’s German Allies: Hesse. 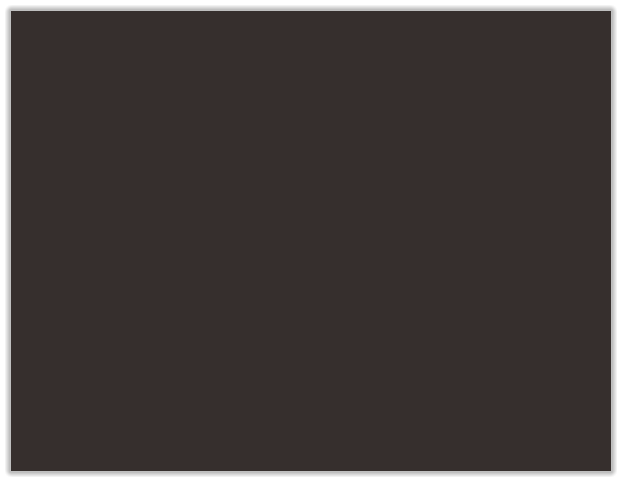 Copyright © Osprey Publishing. 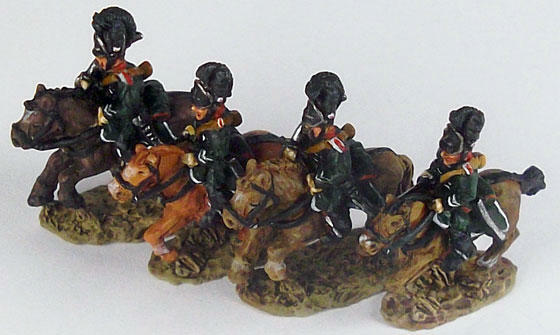 I had decided not to include command figures as part of what was only a four-figure light cavalry unit. This wasn’t because the Garde-Chevaulegers didn’t carry standards. 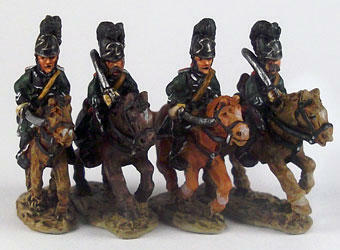 Nor was it because of the bad luck of the officers in charge of the regiment during the 1809 hostilities. 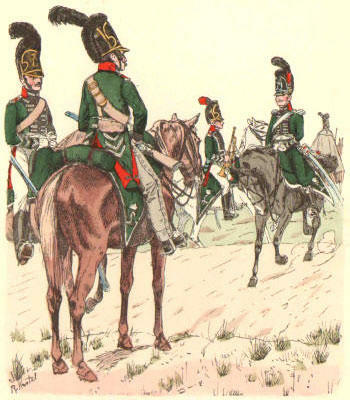 Their Oberst, Chamot, was their first casualty of the campaign when he dropped out due to illness and returned to Hesse. 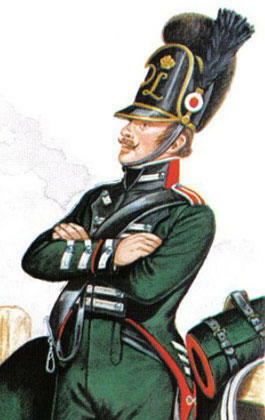 Only a few days later, Major von Münchingen who took over from him suffered a lance wound and was only just saved from capture by Habsburg Uhlans. However, he must of been of stern stuff as he was back in the saddle leading the regiment five days later and received a coveted Legion of Honour on the recommendation of his commanding officer, General Marulaz. 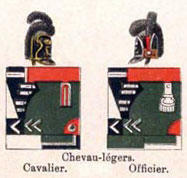 ABOVE Knőtel’s illustration of Hessian Garde-Chevaulegers dated 1812 showing white breeches for parade dress.